On the four-hour chart Tenkan-sen Line is above Kijun-sen, they are both horizontal. Chinkou Span line is above the price chart; current cloud is ascending. The closest support level is Tenkan-sen line (0.9027). One of the previous maximums of Chinkou Span line is going to be a resistance level at 0.9094. Let’s look at the daily chart. Tenkan-sen and Kijun-sen lines are getting closer and going to form a reversal pattern. Chinkou Span is approaching the price chart from below; current cloud is still descending. 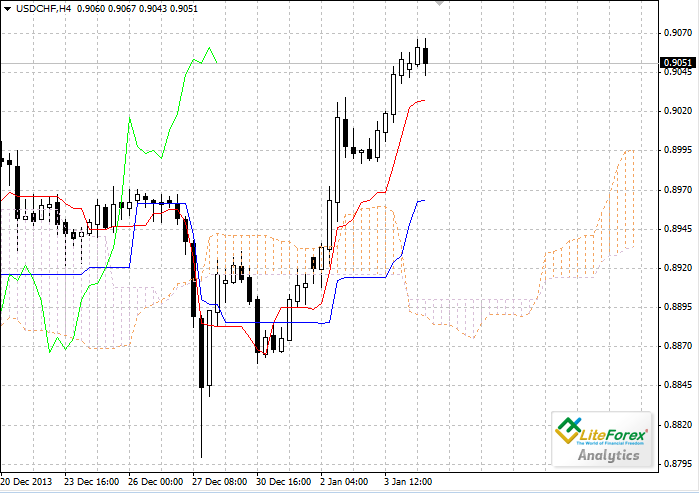 The pair has broken through Tenkan-sen and Kijun-sen lines; the latter has become a support level at 0.8955. 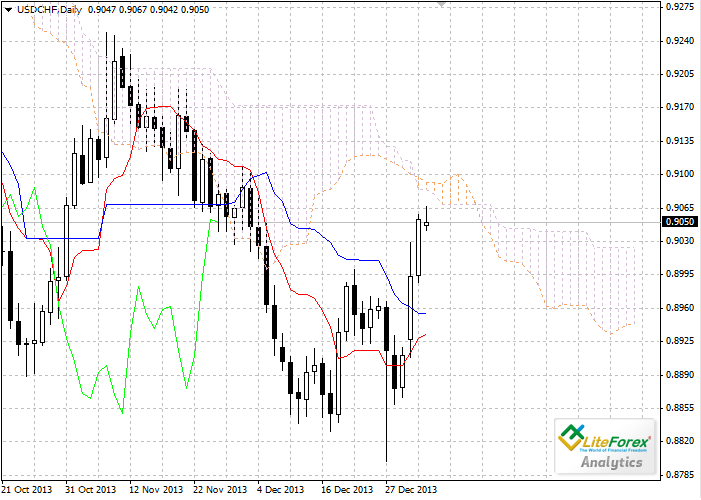 The next obstacle for the price on its way up will be the lower border of the cloud (0.9084). On the four-hour chart we can see a slowdown of the upward movement; however, the same movement on the daily chart is a long correction of Bearish trend. Targets for the long positions are at 0.9094 and 0.9084.